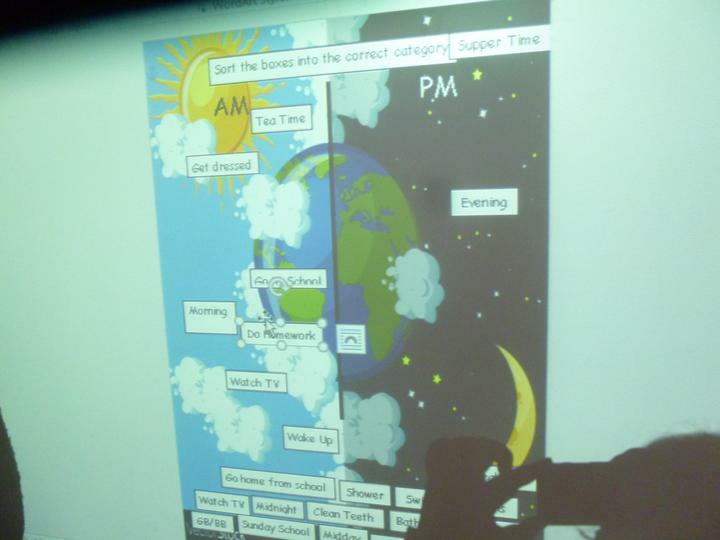 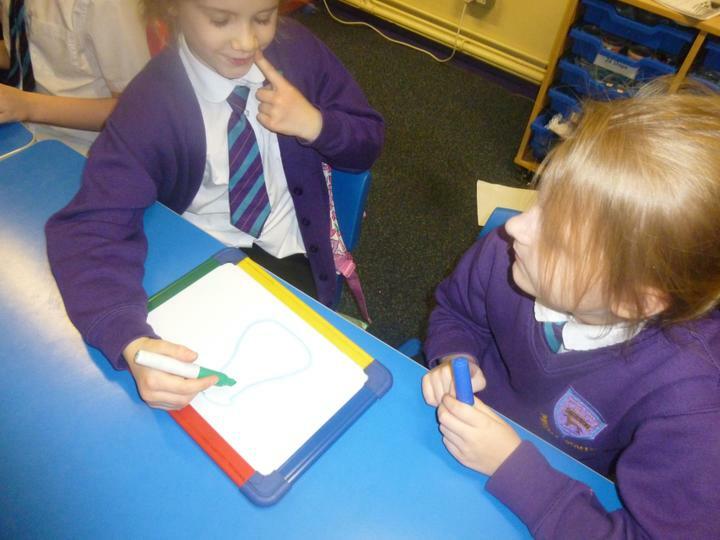 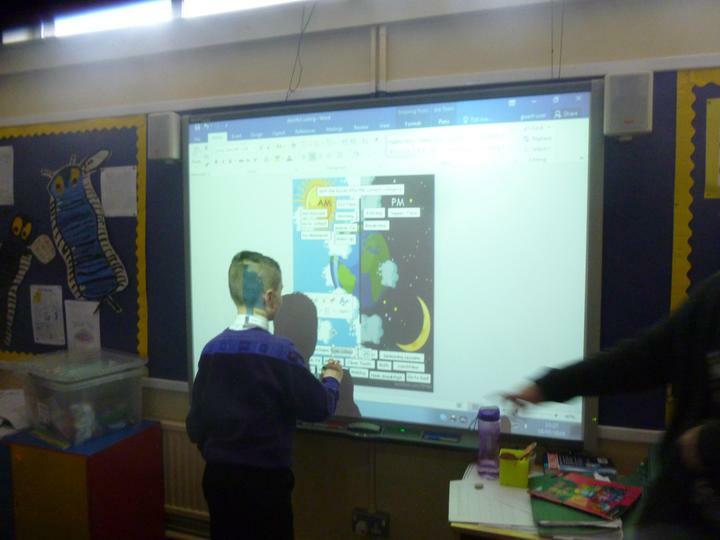 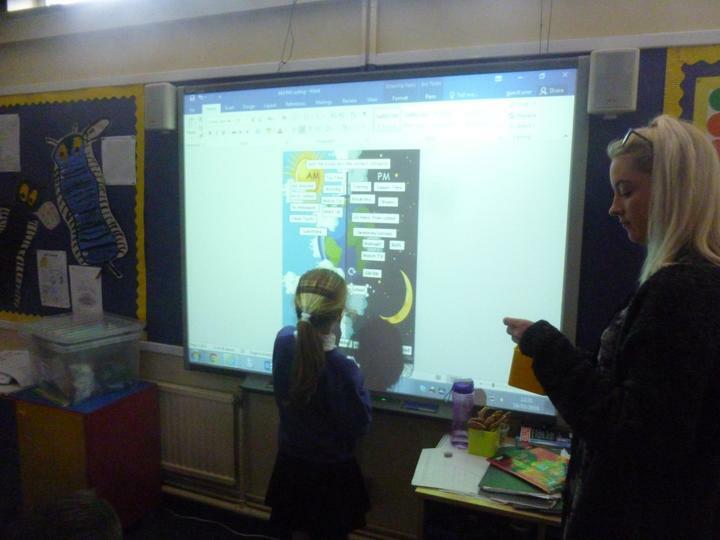 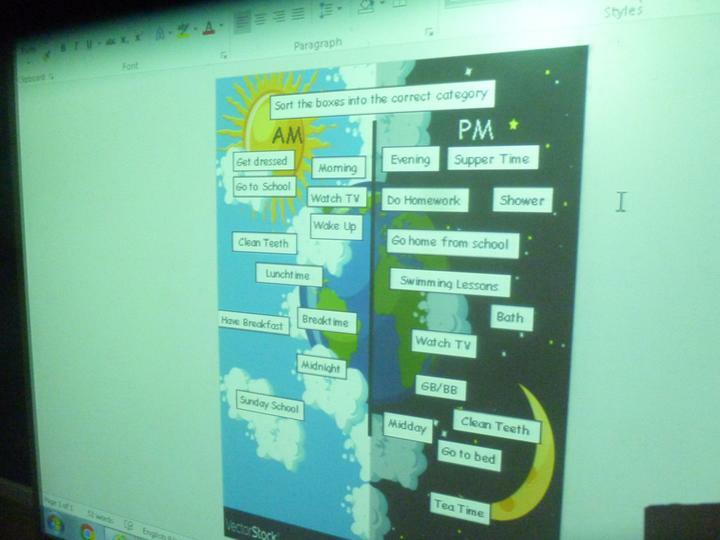 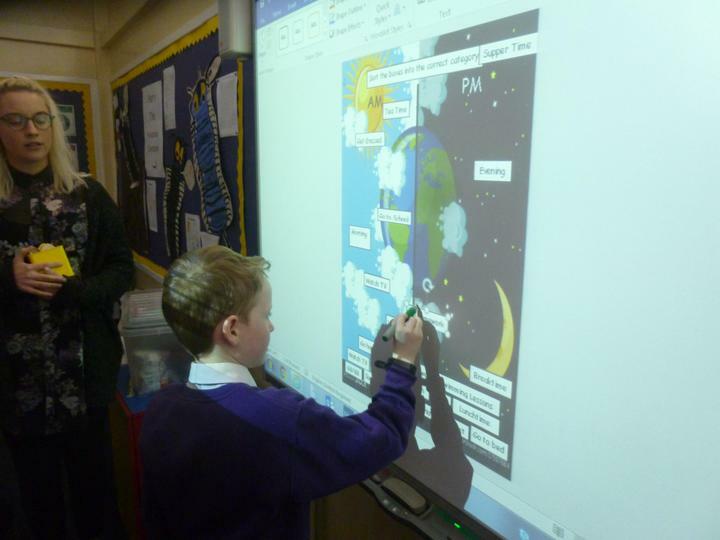 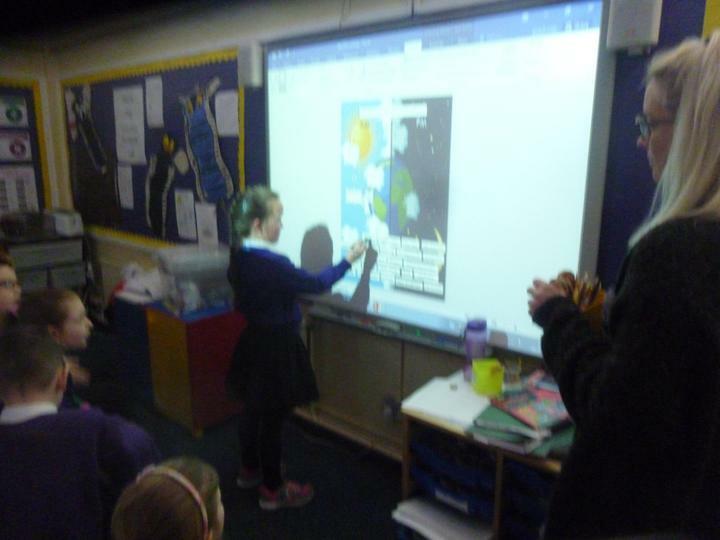 Learning all about am and pm in Primary 5! 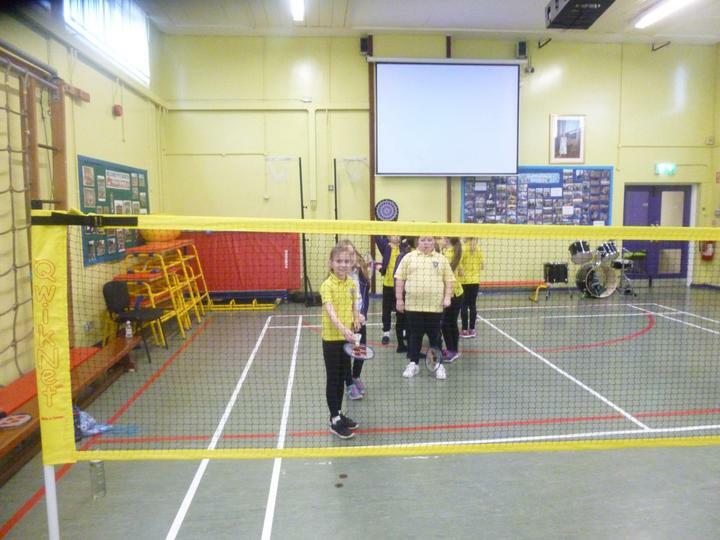 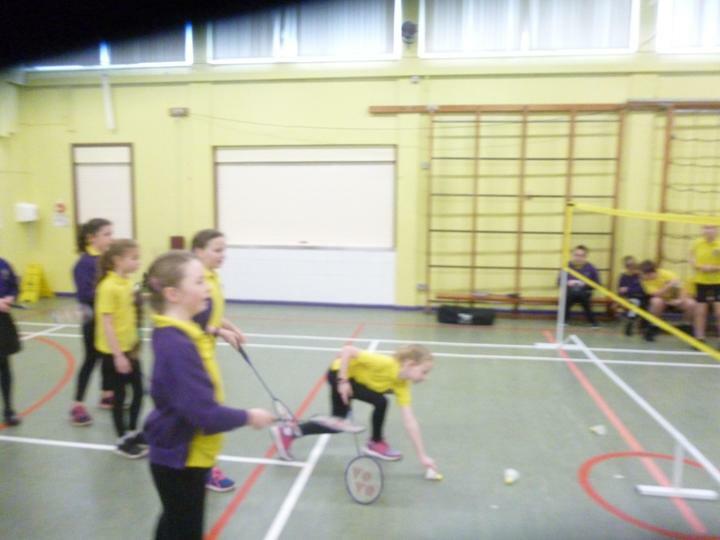 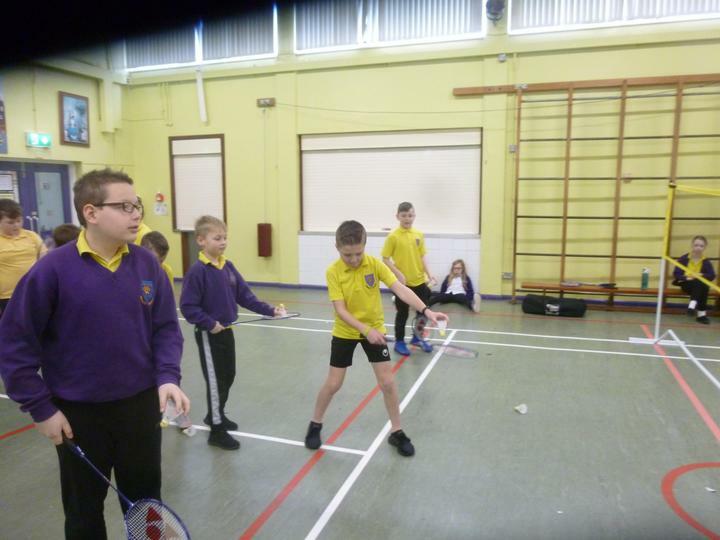 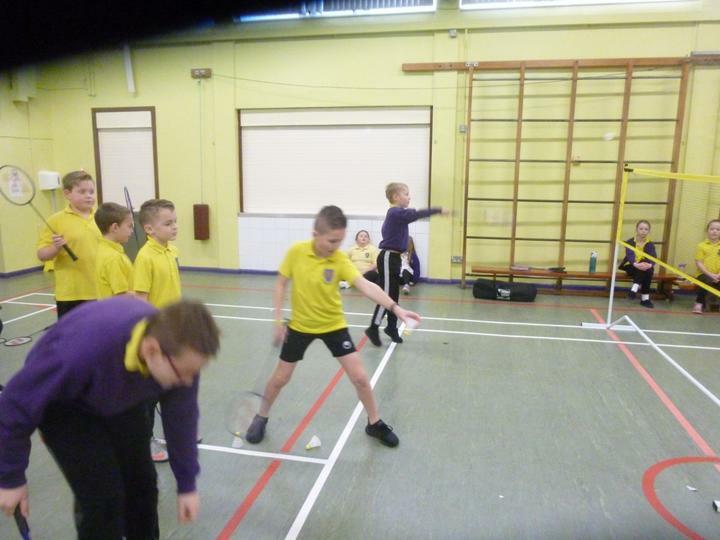 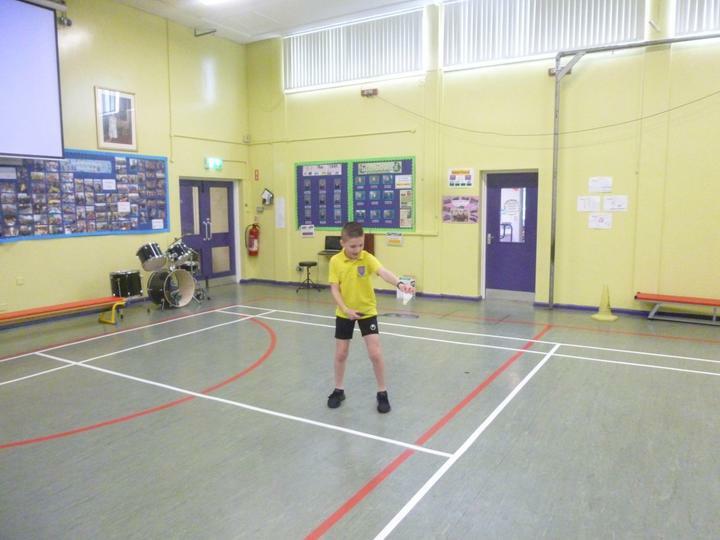 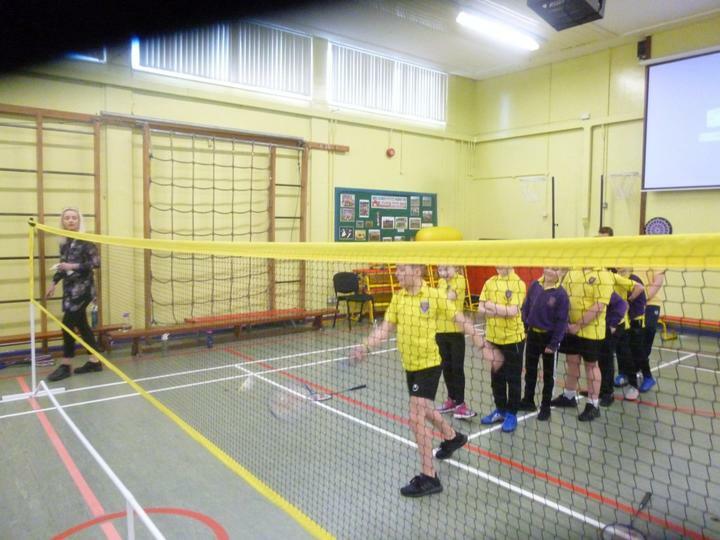 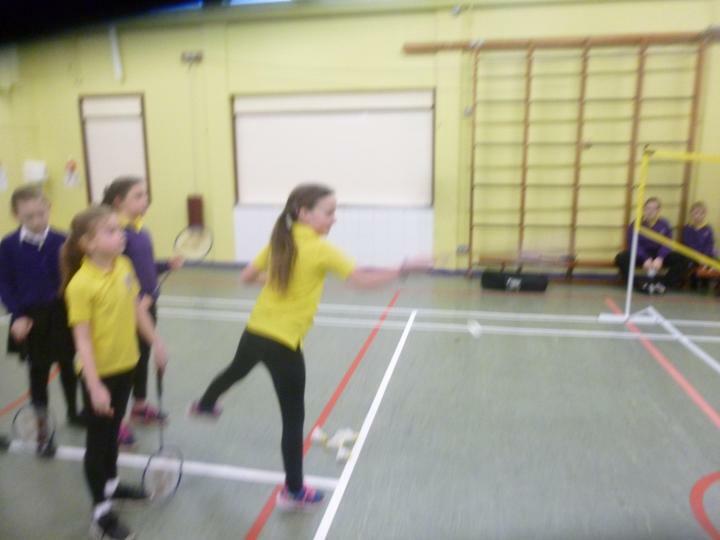 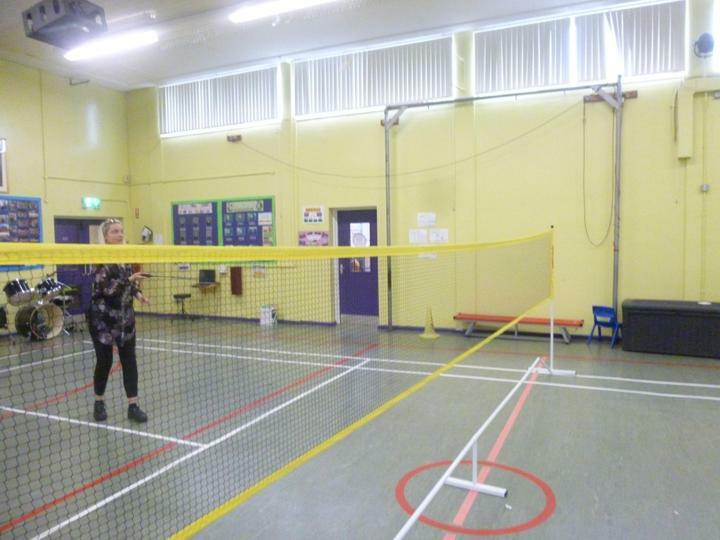 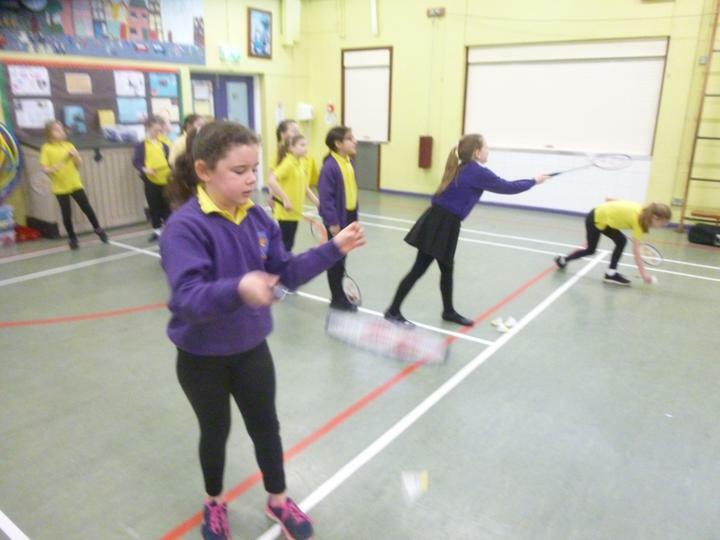 Primary 5 having fun learning to play badminton! 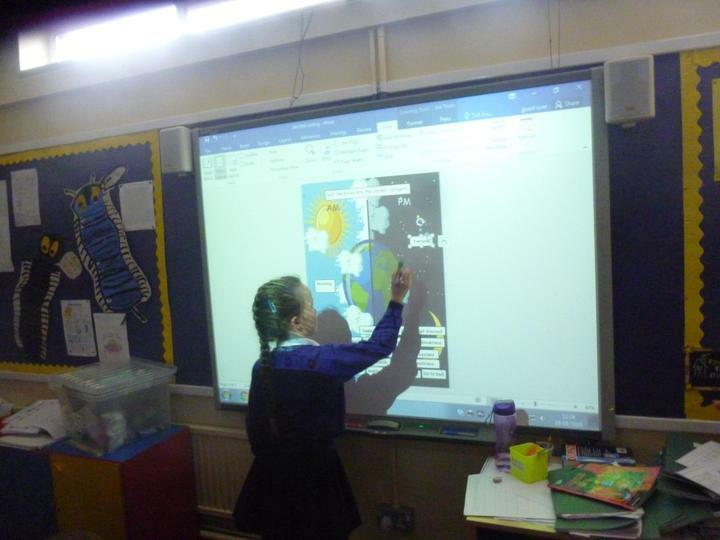 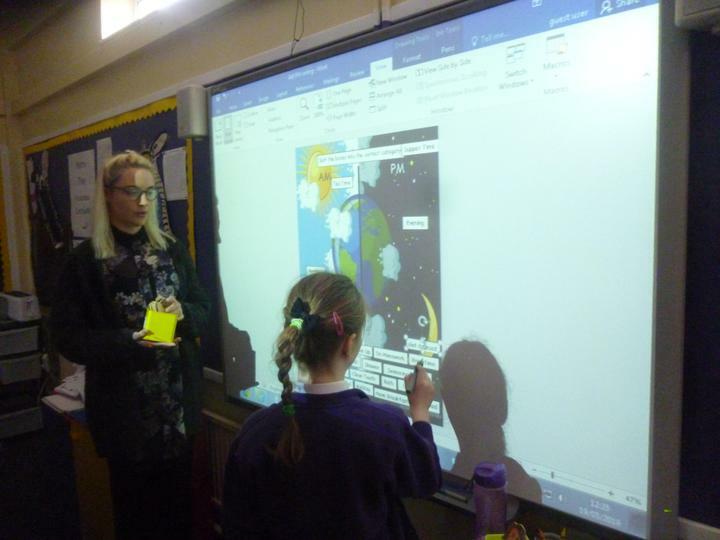 The class teacher is Mrs Thompson. 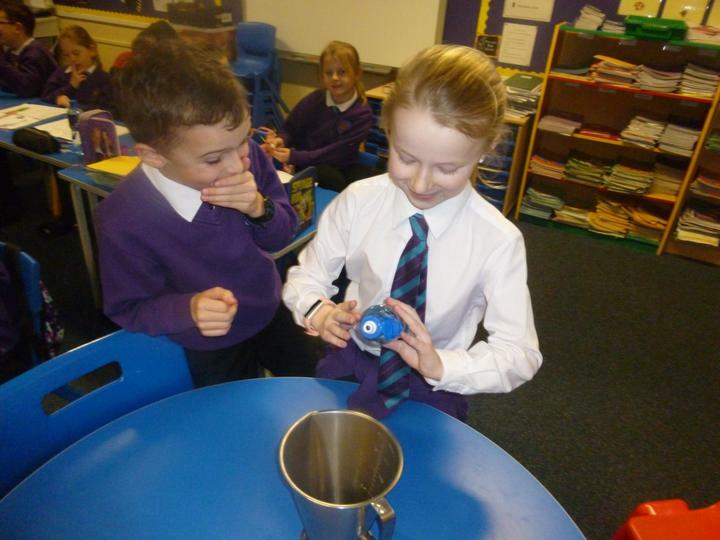 Vice Principal release teacher is Mrs Moore. 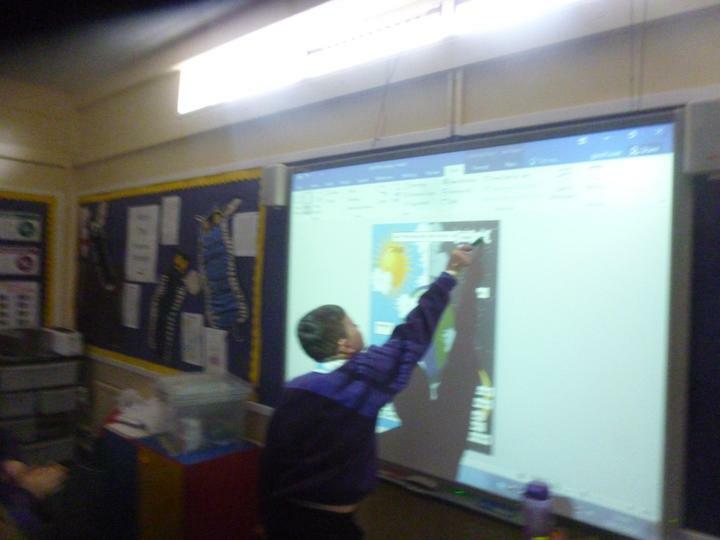 Our World Around Us topic in Term 2 will be the Ancient Egyptians. 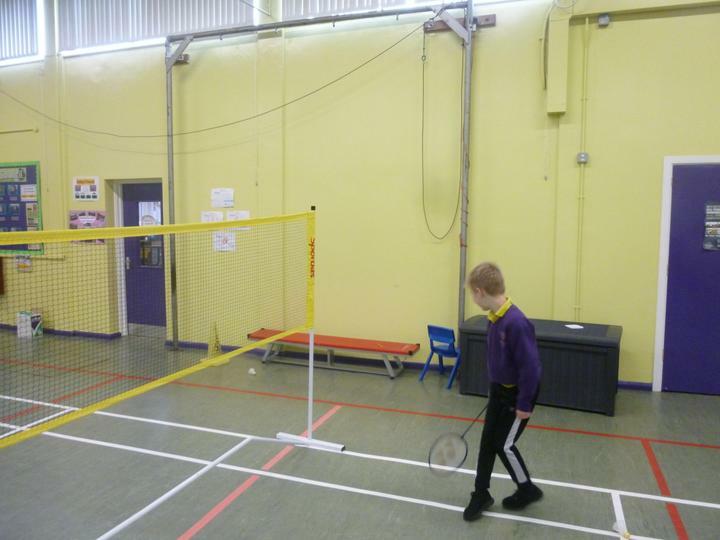 PE indoor kit is required each Thursday for healthy kids. 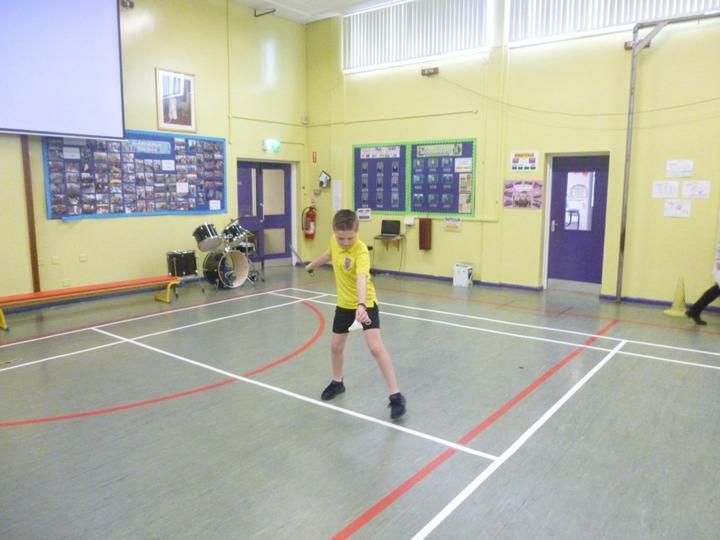 PE outdoor kit is required each Tuesday for games. 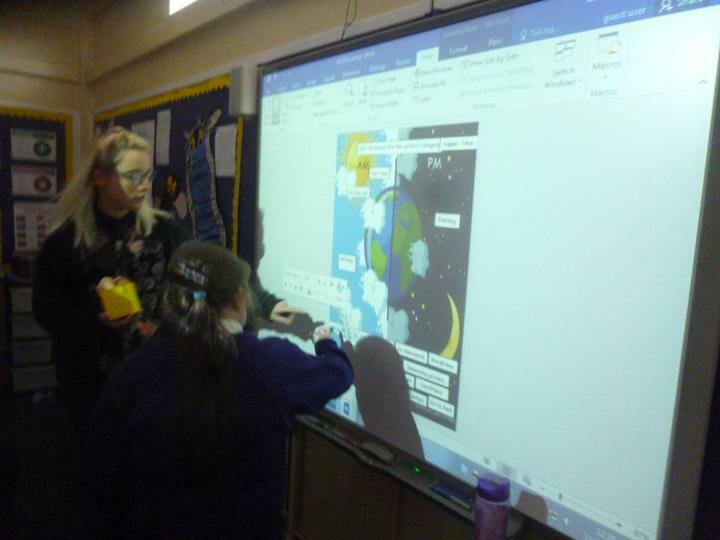 The library van comes every other Friday to enable those who are members of the NI Library Service to borrow books. 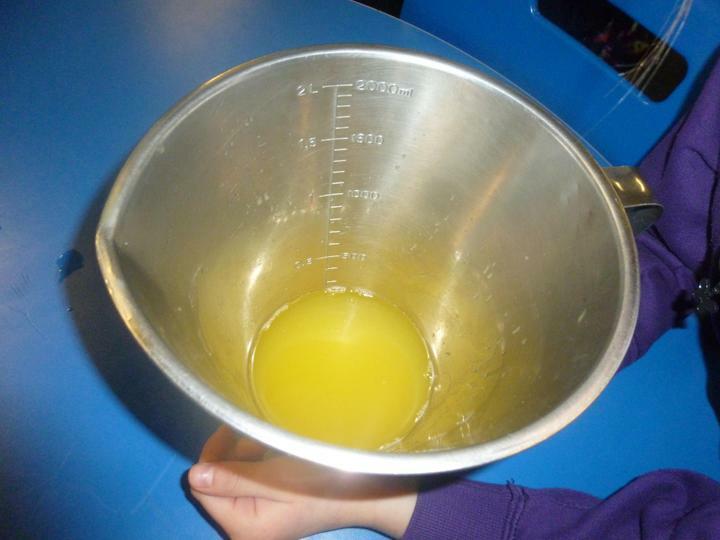 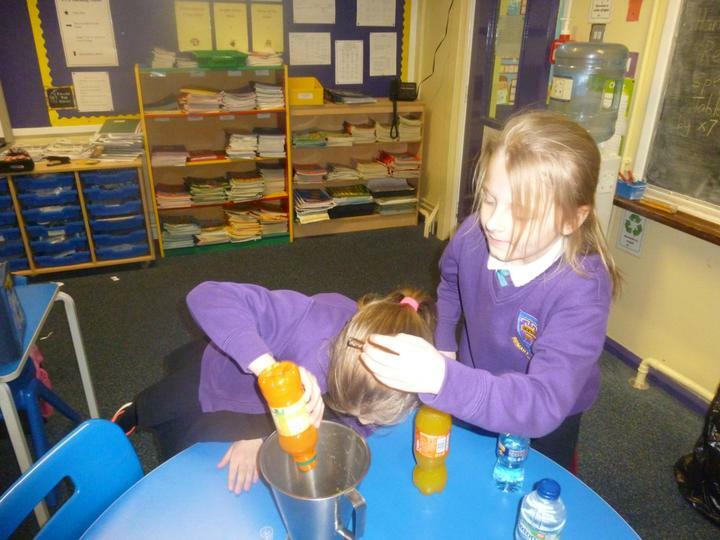 Healthy Kids is on a Thursday at 9.30am. 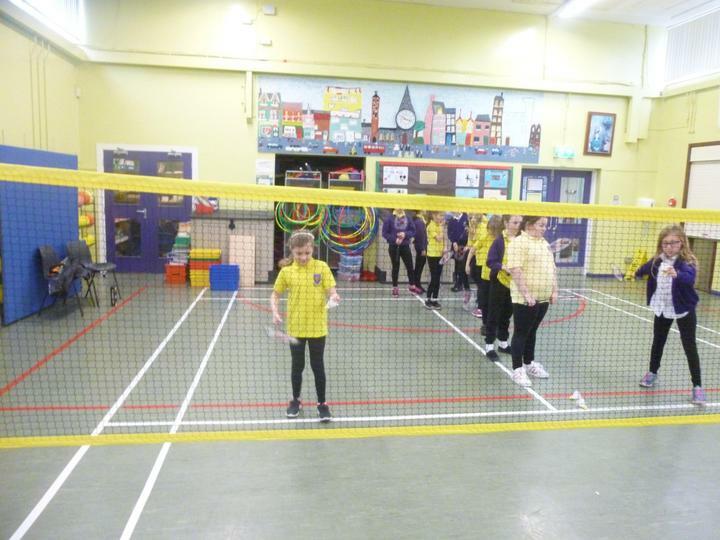 This is a programme that focuses on developing health and fitness levels. 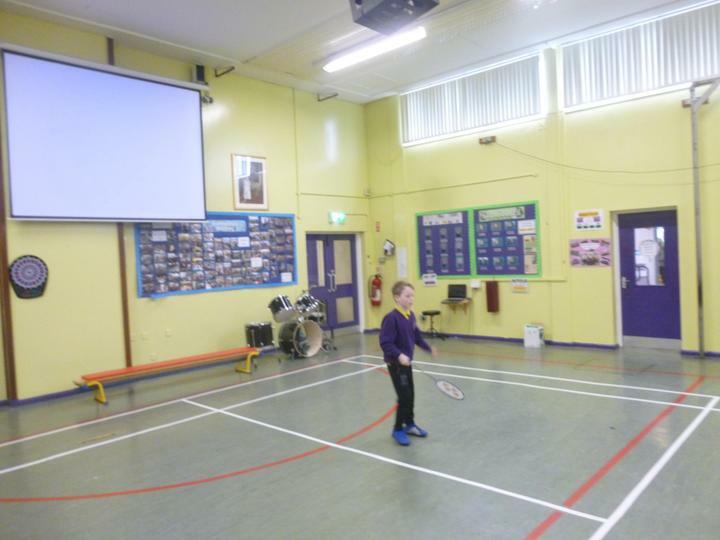 Children are advised to come to school wearing their PE kit but must bring their school uniform to change into after the Healthy Kids session. 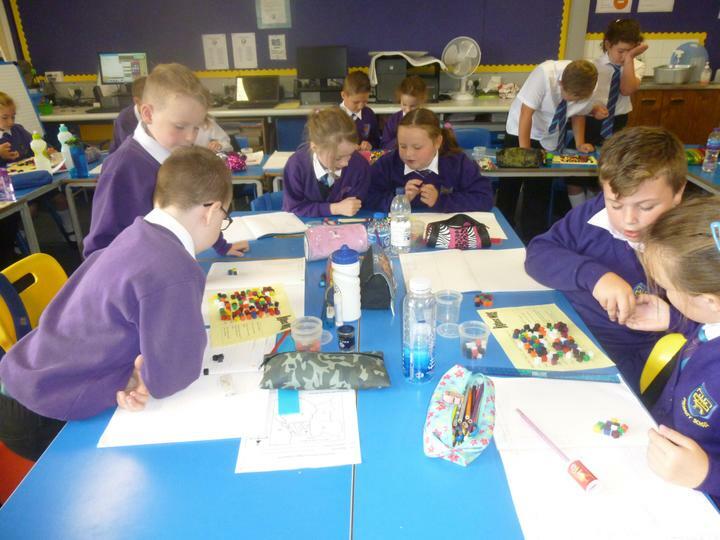 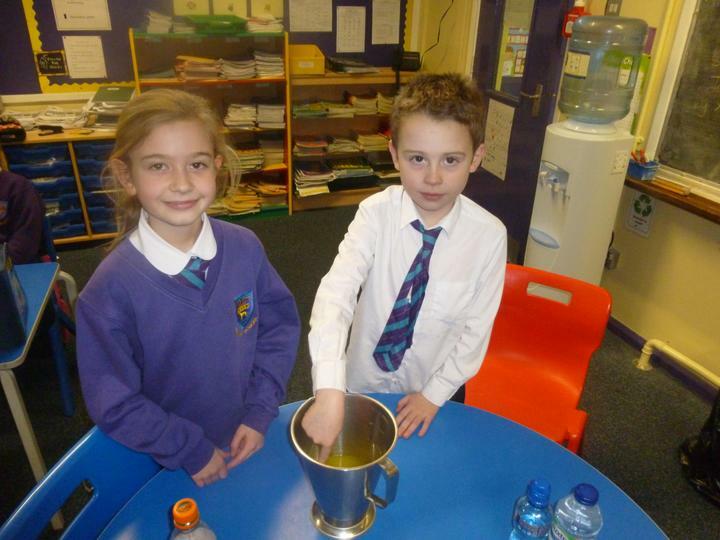 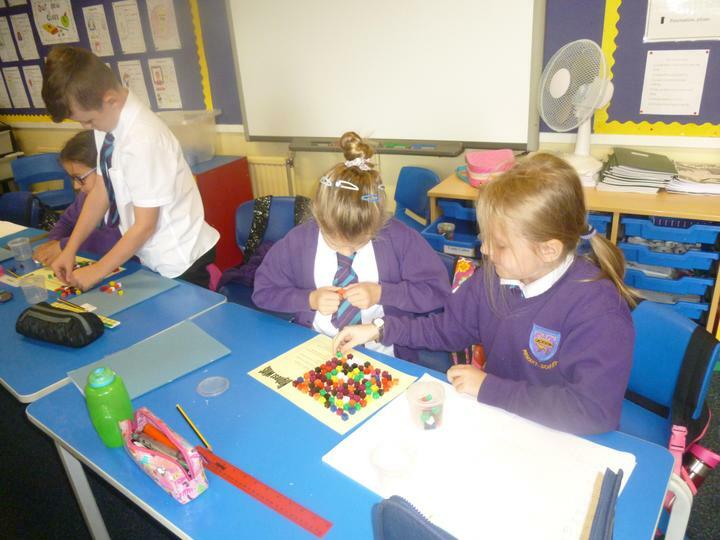 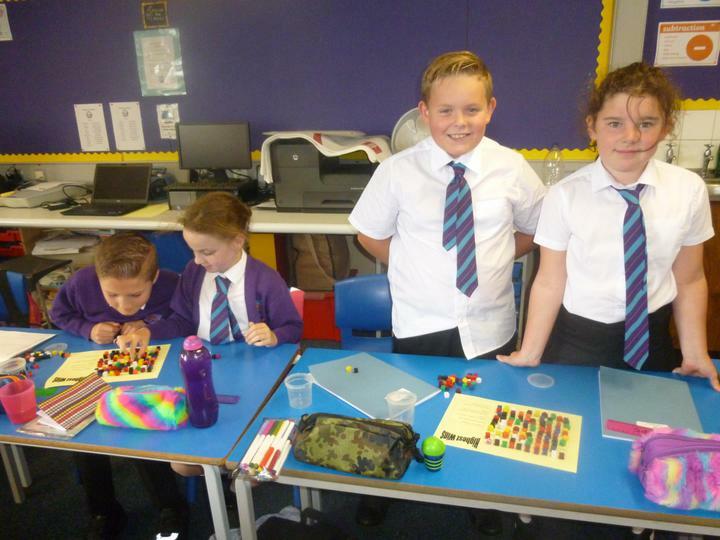 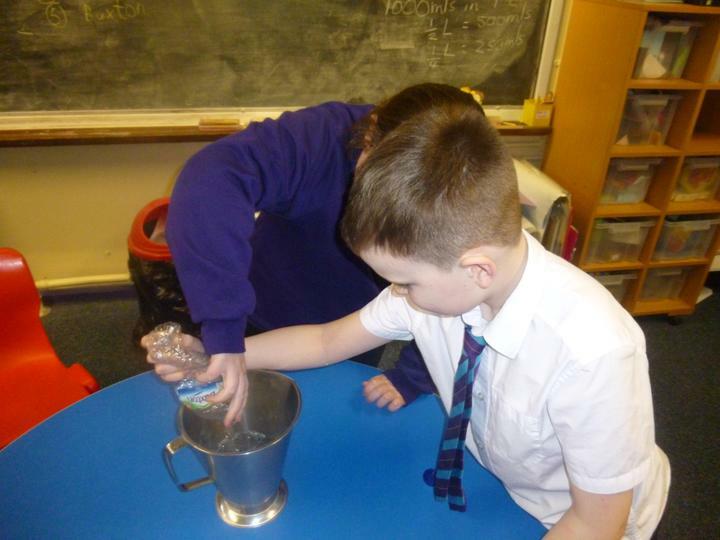 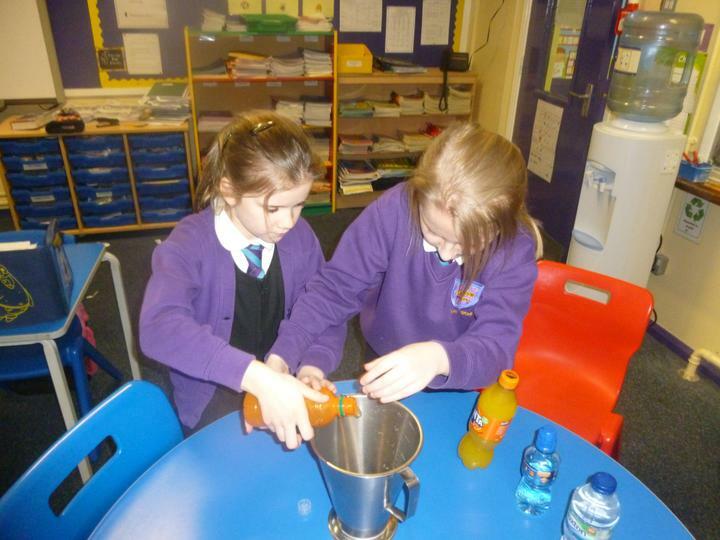 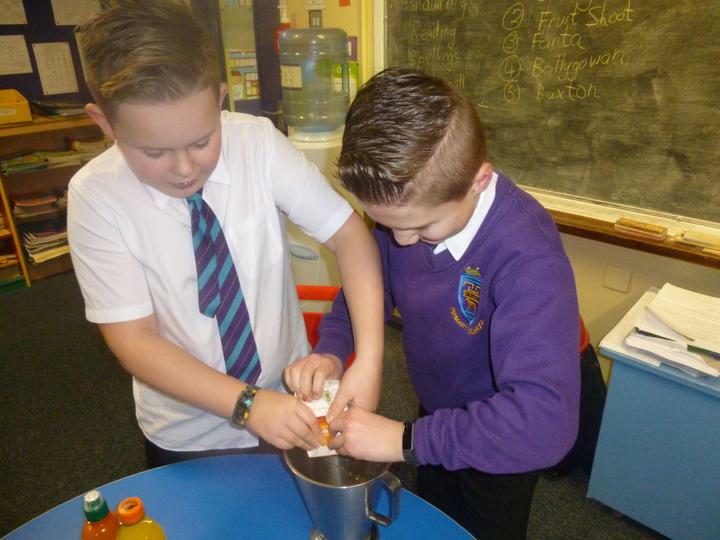 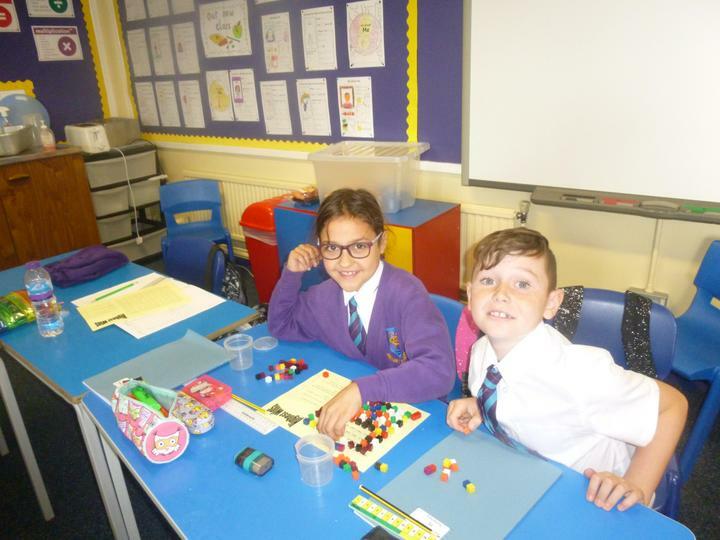 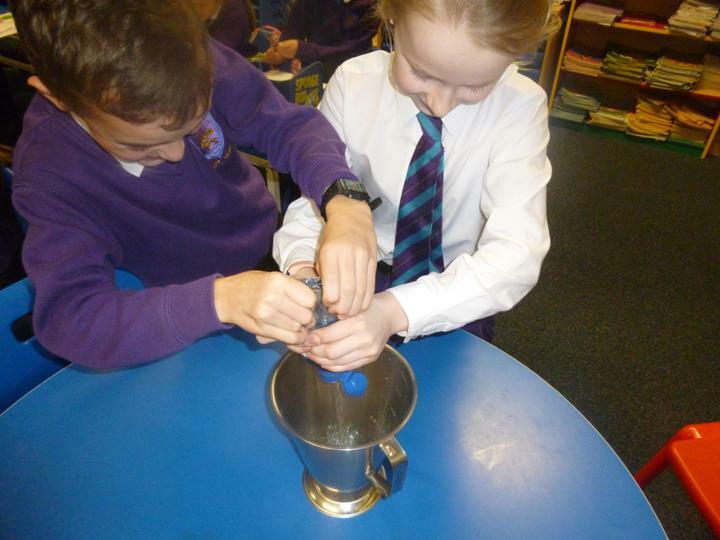 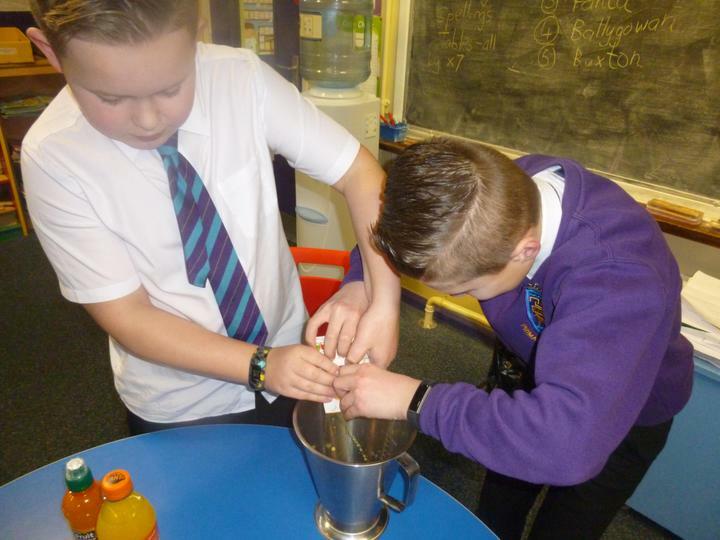 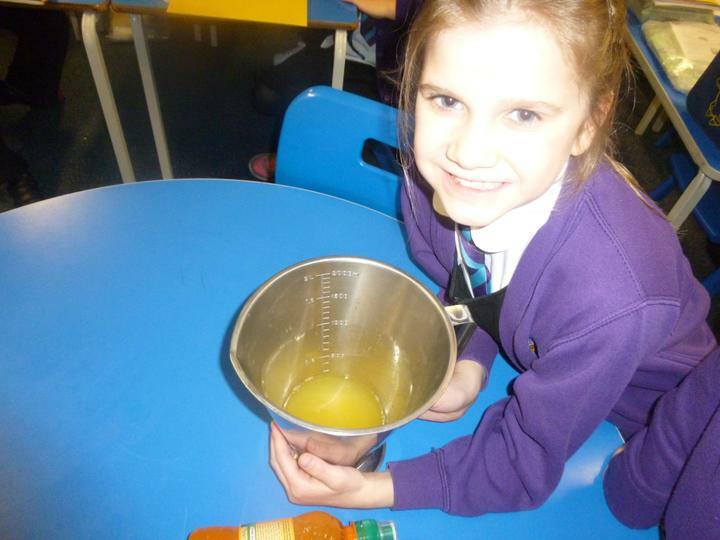 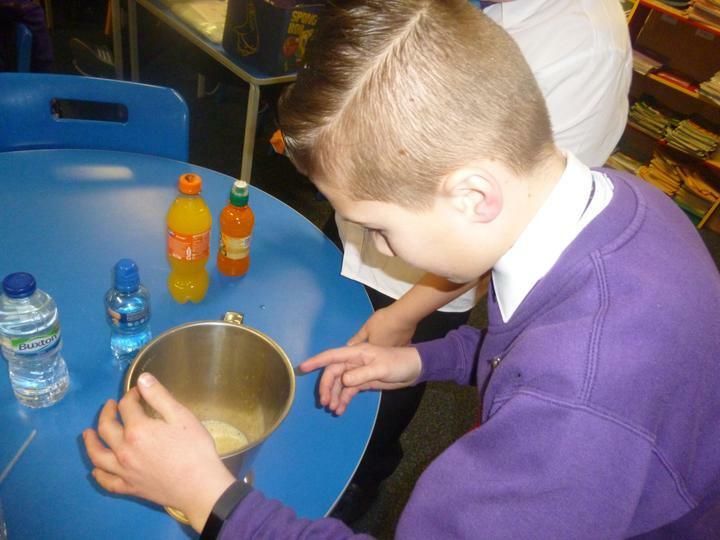 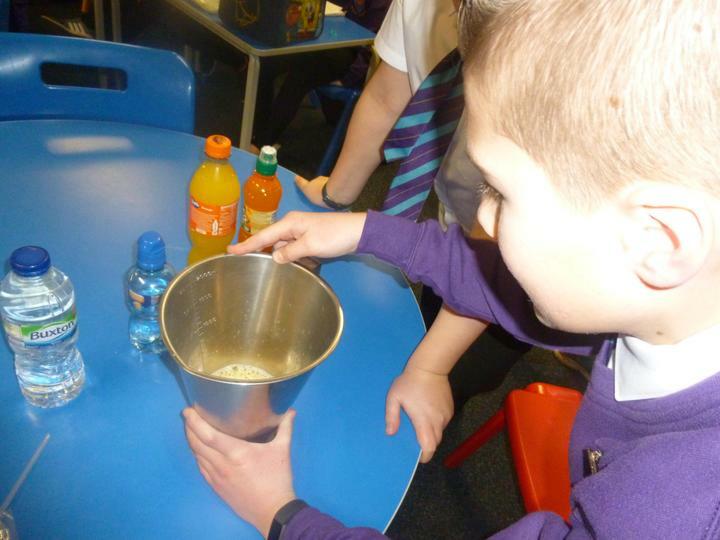 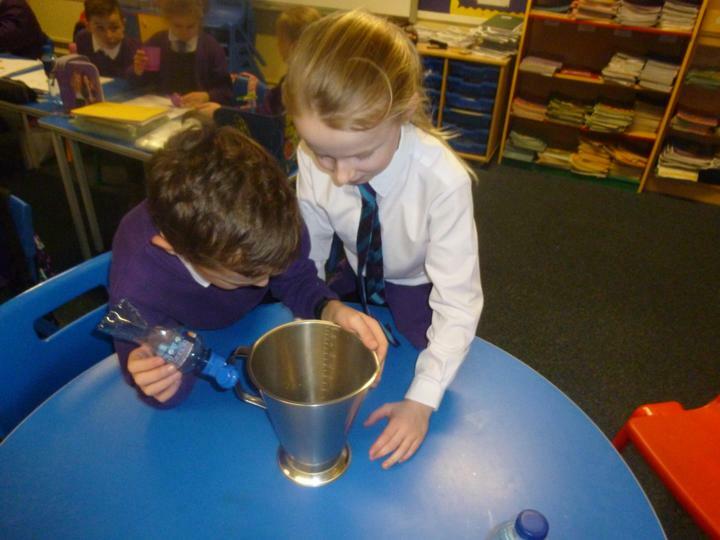 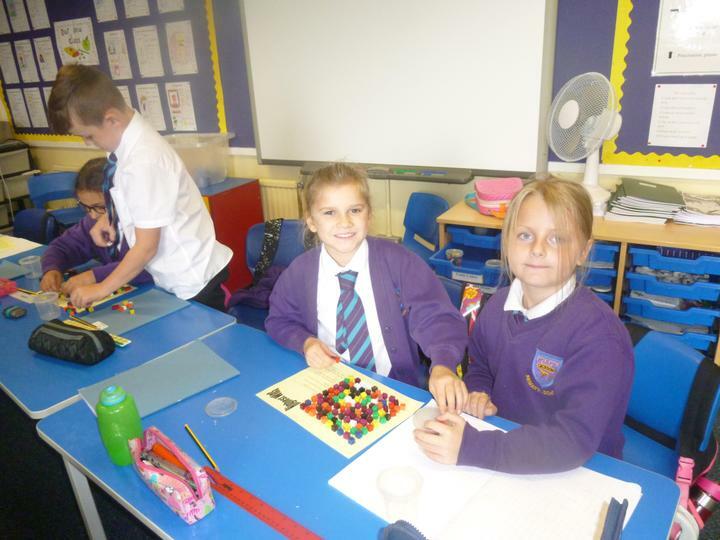 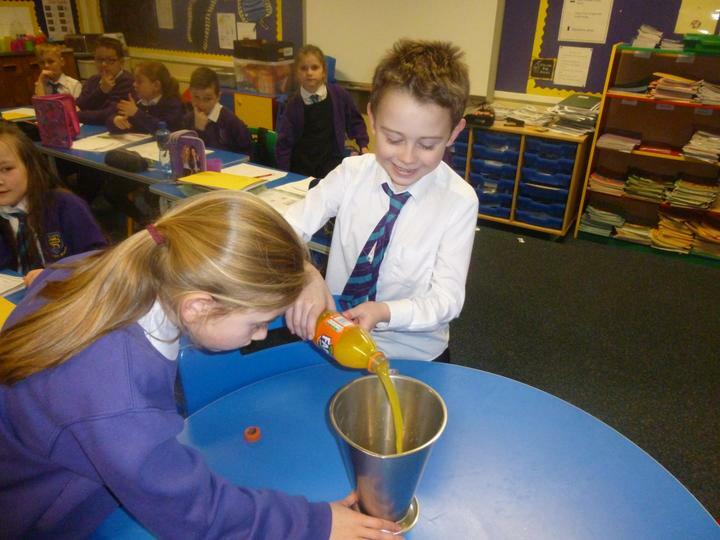 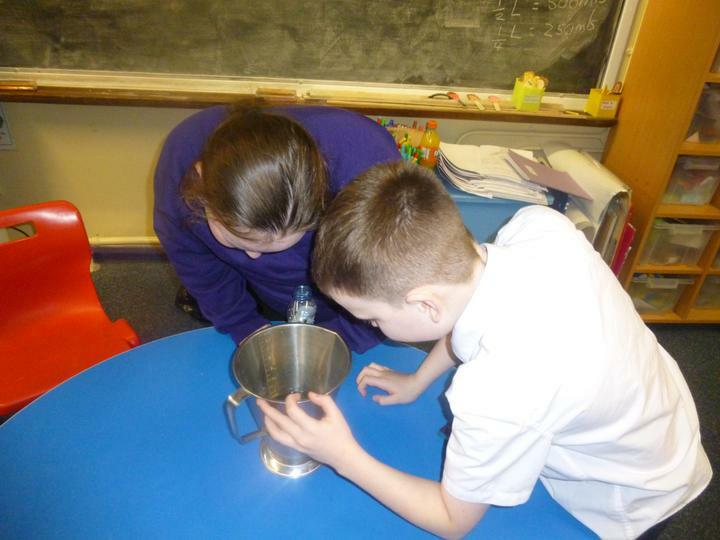 Primary 5 having fun with capacity!